Earn 9.95 Weta Dollars! What's this? 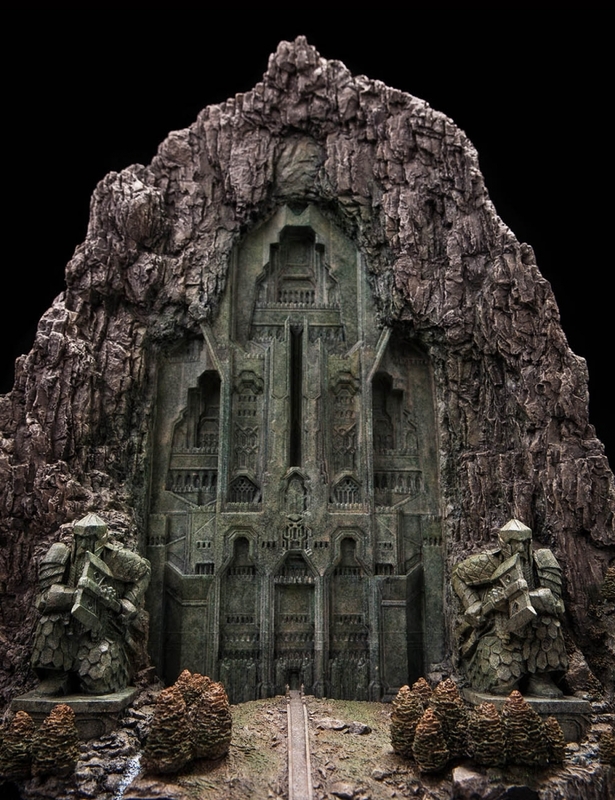 Carved into the living green stone of the Lonely Mountain's flank, the grand front gate of Erebor stood like a monument, proclaiming the power and skill of the Dwarves. 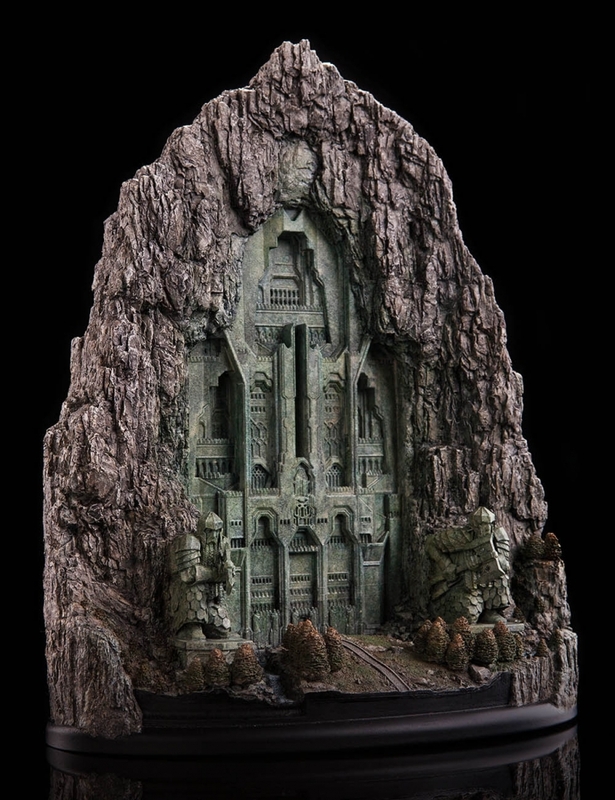 Impenetrable and proud, the great wall of hewn stone made a fortress of the mountainside, protecting the prosperous Dwarven city and the vast treasure of King Thror that it held. 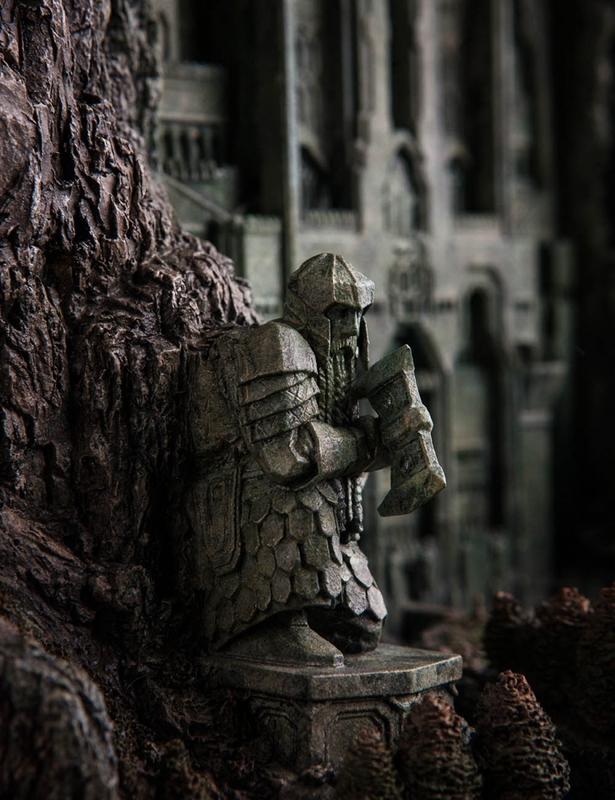 Peaceful and plentiful were the days of Durin's folk in those times, before rumour of the wealth of the Dwarves crept north; before the sky grew dark; before the coming of the hot wind. 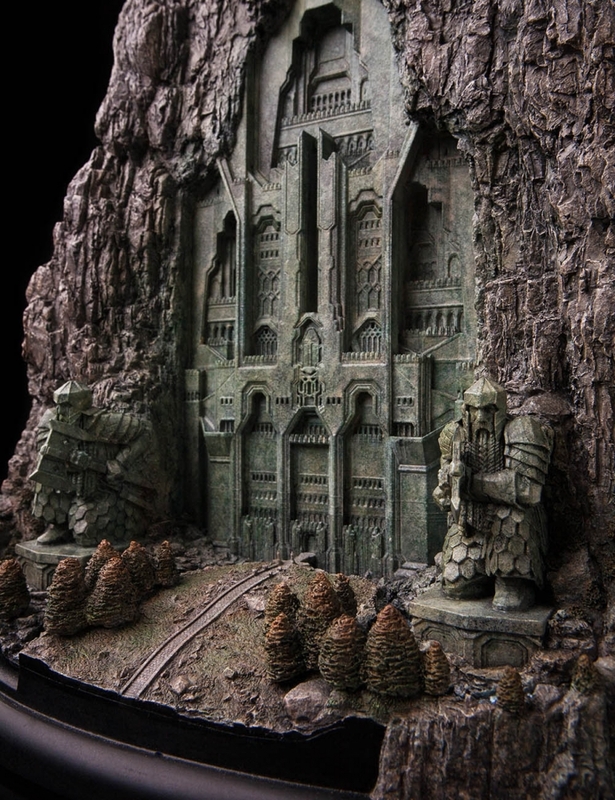 Weta's legacy of finely crafted miniatures from Middle-earth continues with this iconic piece from the first movie: Erebor, the way it looked before Smaug smote ruin on the mountain kingdom. 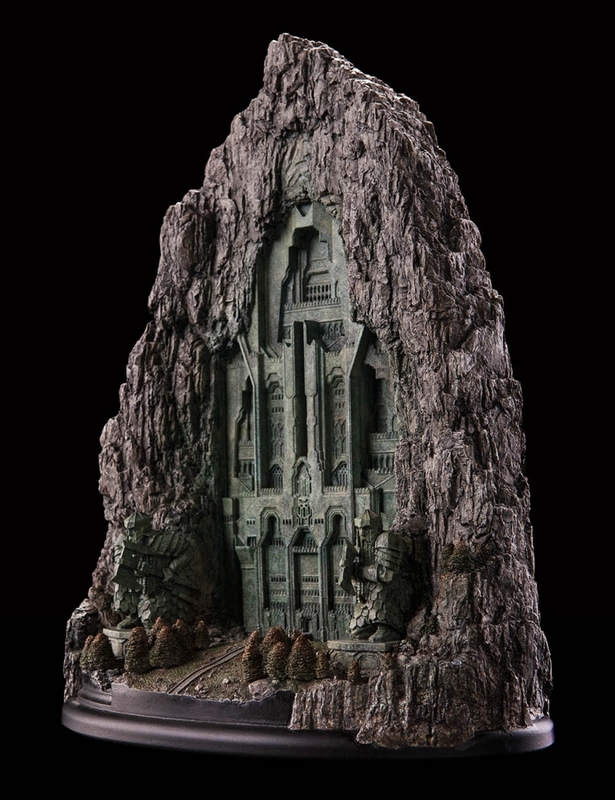 The Front Gate to Erebor is an Open Edition piece, based on the set featured in The Hobbit: An Unexpected Journey. It was built by a team of the same artists and craftspeople who work on our movies, led by Senior Modelmaker David Tremont and Leonard Ellis. Please note: images are of a pre-production prototype. Each finished environment is painted by hand and variations will occur. I have to say I was expecting something special when I bought this environment but when it arrived I was blown away with the detail and the size of it! The photos don't do it justice. I've tended to go for the staffs and prop weapons but this item has made me seriously think of going for the other environments in the collection. Well done Weta!!!"